The ISO 9000 family of quality standards has been adopted world-wide as a framework for building better relationships between suppliers and customers. Originally a manufacturing-industry concern, quality is now acknowledged to be a key issue for the construction sector whose clients increasingly demand quality certification. 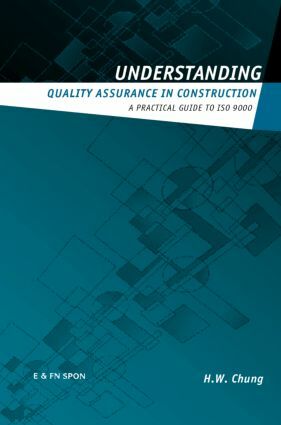 This book explains the concepts and practice of quality assurance and management in construction. Clearly written and well illustrated, with plenty of sample quality system documents and other pro-forma, this book will make the daunting task of developing, implementing and managing a quality system a great deal easier for contractors. This is practical guide for building and construction contractors and sub-contractors, project managers and other construction professionals. Also for undergraduate and postgraduate students of building, construction management and project management.